A semi-welcome return. Not the greatest horror film to hit theater screens this year but certainly not the worst. It unfortunately lacks the finality that the original had but still proves to be an effective entry in a franchise known for its inconsistency in quality. I can’t call myself a fan of the franchise but I am a fan of the original film and this sequel transfers the formula made famous by said film pretty well to a Generation Z audience. There are plenty of callbacks to the first entry (one of the victims even being a babysitter) and they all work incredibly well. There unfortunately isn’t that much tension. Most, if not all of the scares are executed brilliantly but the fights between Michael Myers and his victims are pretty disappointing. The gore is awesome; can’t really complain much about that. Subplots are handled poorly; despite already being in motion, they end pretty quickly which is a letdown. Writing is fine..good, not great. Humor is handled well though. Serviceable to fans new and old. It’s evident that Blumhouse knows how to make horror movies and that’s the big takeaway here. The new score is brilliant. One of the best I’ve heard all year, in fact. Enjoyable. Would recommend overall. "A worthy successor" 40 years after the events in ‘Halloween’ (1978) Laurie Strode faces off once again with Michael Myers. Strode has been preparing for 4 decades for an eventual showdown with Myers. Of course Michael escapes and it’s only a matter of time before the 2 meet. Strode’s doomsday prepper storyline is a bit far-fetched but that doesn’t make it less entertaining. Jamie Lee Curtis makes a triumphant return as Laurie Strode. 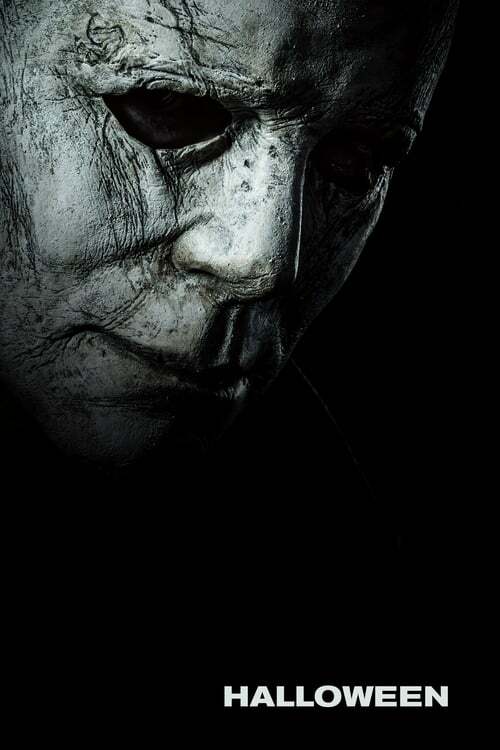 It also marks the return of Nick Castle as Michael Myers. And Myers lives up to his reputation. His killings are more brutal than ever. Director David Gordon Green executes it almost perfectly. A lot of killings happen offscreen but you get to see the horror afterwards. And there’s of course the delicious tracking shot where Myers returns to Haddonfield. The camera follows him through a suburban home where he slaughters someone. The camera follows him back onto the street and into the next house to kill again. Michael’s introduction in the psych ward is also pretty memorable when all the psychos start to go… psycho. After that sequence we get the opening credits with the iconic theme. Brilliant. Credit has to go to writer Danny McBride. He respects the original, as is obvious in the countless references (Laurie standing in front of the window, Michael missing an eye) but isn’t afraid to give it a spin. Who’s hunting who? There’s also the humor he brings to the story. And it works (the babysitting scene). Of course it’s not all great. At times ‘Halloween’ falls victim to several genre tropes (girl falling when chased, questionable decisions). And although Strode’s been preparing for 40 years she doesn’t do a top notch job. The biggest letdown was the character of Dr. Sartain (Haluk Bilginer). He’s a poor man’s Dr. Loomis whose role is too expanded. All in all David Gordon Green and Danny McBride finally make up for 40 years of mediocrity and less (Halloween: Resurrection says boo). Although the 2018 version will not achieve the same cult status as the original it’s a solid entry in a disappointing franchise.